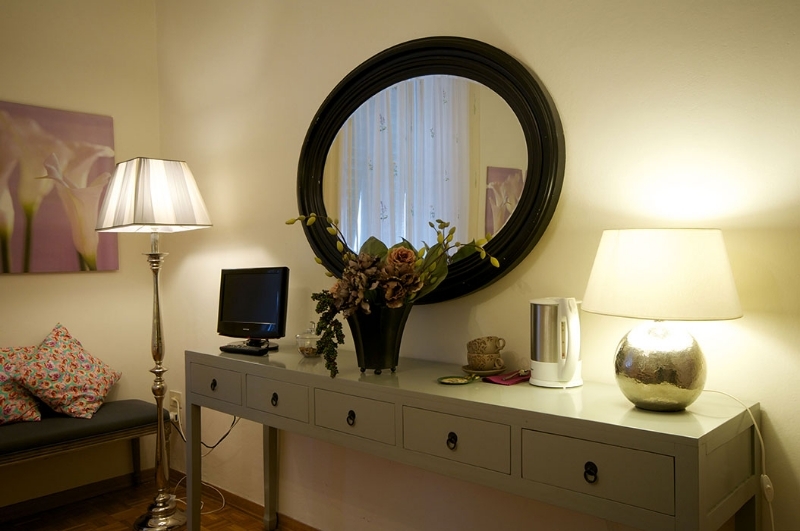 Book you stay now at our B&B in Sesto Fiorentino. In this large room grey is the main color, from the quilted headboard to the main wall decorated by vertical strip. Classic and modern style of the furnitures, carefully restored with passion by Mara creating an elegance atmosphere. 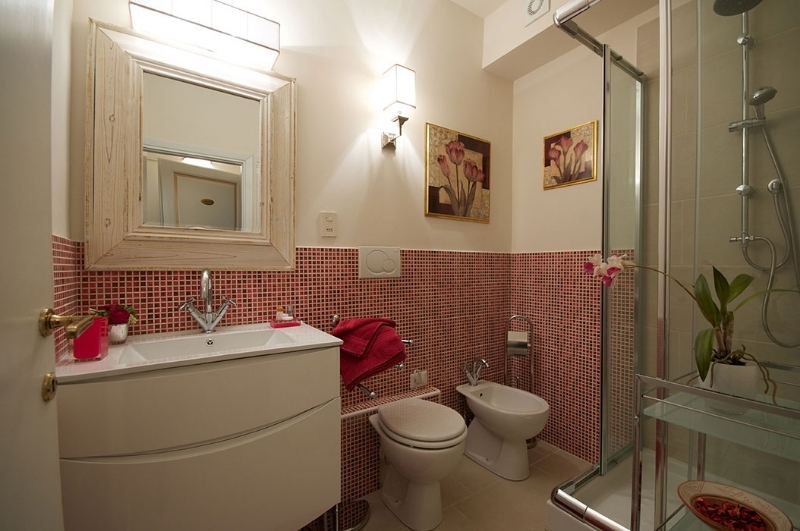 The bathroom is modern and practical, covered by cherry red warm colored mosaic.